Did you know that shooting too is practiced as a sports activity in different parts of the world? As a matter of fact, there are several training institutes which offer special coaching in the shooting. On completion of the course, a person can be licensed as a professional and may even possess a gun. In that case, special attention must be paid to the kind of certificate templates used. 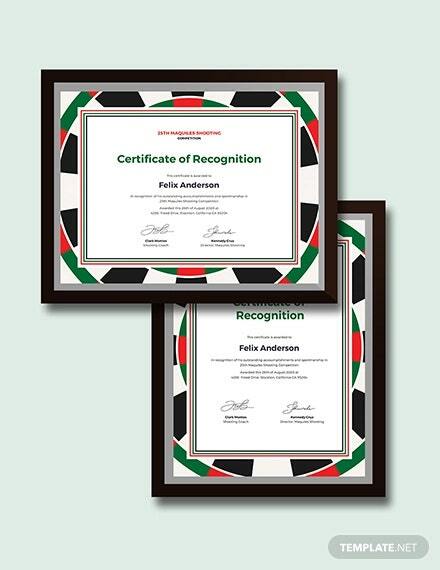 For that, you can always take the help of these shooting certificates here. 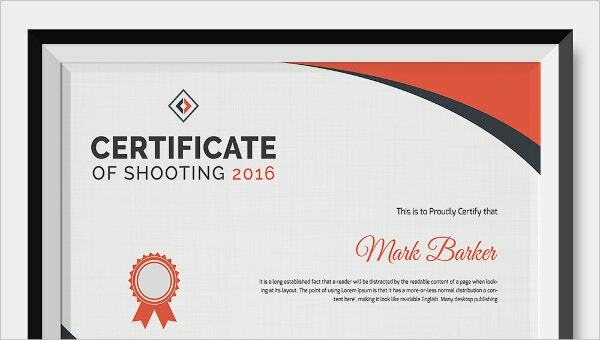 This shooting certificate template comes with word and psd compatibility. That makes the template exceptionally easy to use. Also, the template comes with easy customization options. The first thing you notice about this shooting certificate template is the pattern in one corner. The use of colors in this shooting certificate is sure to catch your eye. This shooting certificate comes in a standard size with allowance for bleed. It allows you to experiment with your certificate template in any way you please. Also, it is easy to use. 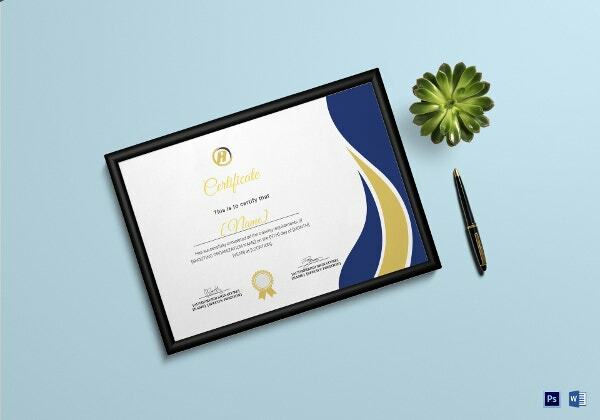 This shooting certificate comes in a word or psd format, a print ready layout, a standard size with bleed, a CMYK color mode, high resolution of 300 dpi, easy customization of text and color. This shooting certificate comes with word and psd compatibility. That means once you download the shooting certificate template, you will be able to edit or customize in any way you please. > Who can use the Shooting Certificates? The shooting certificates are mainly used by the training institutes that offer training programs in the field. For instance, a person taking part in such programs will have to complete the course in order to be a certified shooter. 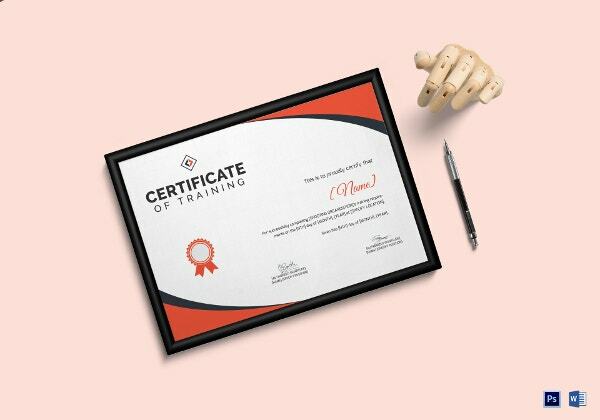 Once the training program is completed and the student has been evaluated, he or she is handed a certificate by the institution which certifies the person as a licensed professional. That allows the person to even purchase guns or practice shooting. As a matter of fact, there are several shooting tournaments organised which require specialised shooting certificates like this. You can also see Squash Certificates. > Why Should you go for Shooting Certificates? 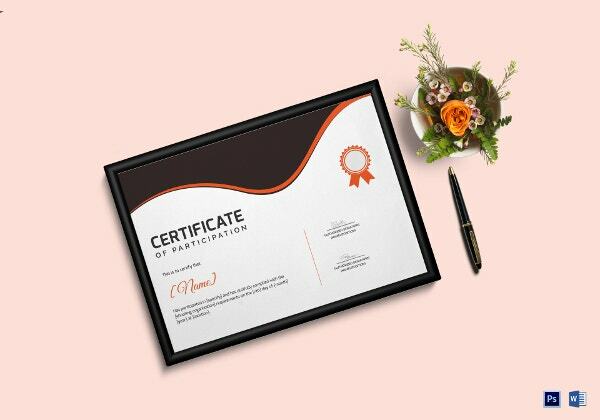 The certificate templates here are of different types. You can choose the one you want based on your requirements or demands. 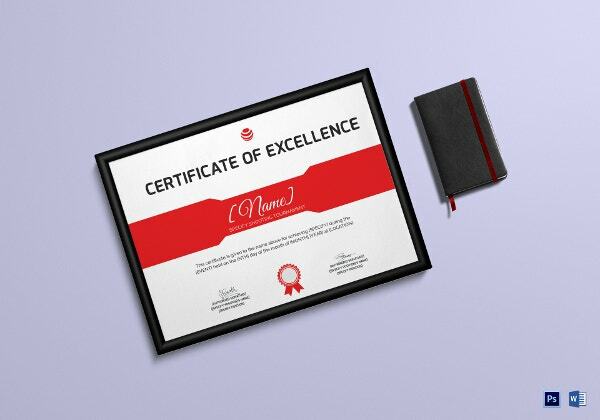 The shooting certificates that you see here are 100 % customizable and editable. That makes them very popular amongst those wishing to save on time and money. Are you planning to organize a training program for people interested in shooting? Then you definitely need to take a look at these shooting certificates here. 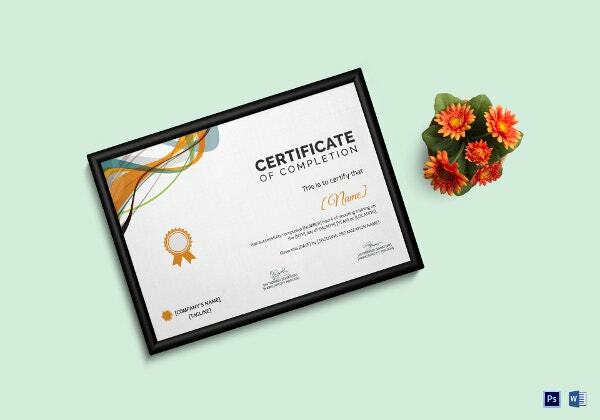 All the specialized certificate templates here come in a number of different formats. Plus, they are customizable. You will certainly find them easy to use.